As I failed horribly during the August version of this, I’m trying harder in September. Together we can do anything! Including killing Commanders in the Barrens. As there were only two of us it did take a while but we got there in the end. 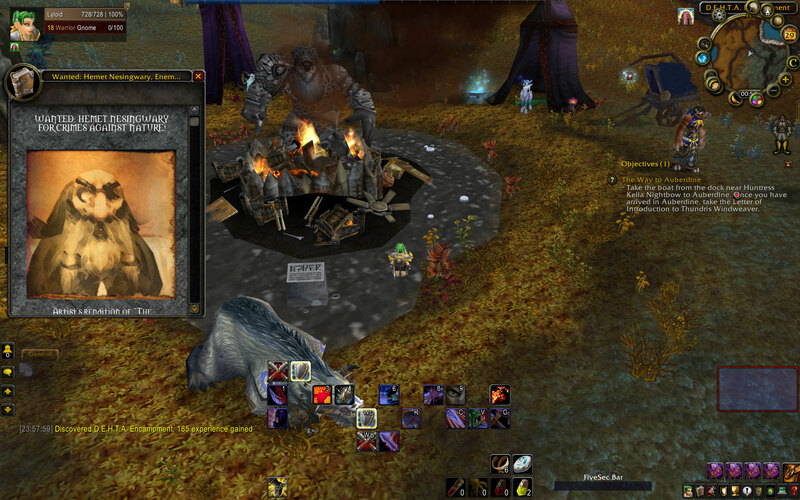 As it turns out the melee ones are actually easier than this dead lady for a dps Monk and a healer Monk. It also helps to know what her effects do before you start the fight as I didn’t see the 450k from her totems coming until I was rather dead. Last night I was a little bit down and so when I woke up this morning, Mr Harpy had a little surprise for me. Yep, he’d taken me minfernal hunting in the middle of the night and had caught this little chap so now Sprout gets to pretend she’s a warlock (aided by pet biscuits). Buoyed up by this, I spent the afternoon catching the remaining pets I needed to pick up my very own Venus. All I have to do now is resist the temptation to rename Venus to Bananarama. I just want to be a real Gnome! The hooves are a nice touch, suggesting the truth behind Gnomish origins. Earlier this week, or possibly last week, Apple wrote about characters with gimmicks or quirks. So go and read her post if you haven’t already. Lyloid (who is Mr Harpy’s alter ego) has been around for a while and I’d been wondering about how best to blog about the little creature. Thank you Apple for helping to clear my head on the subject. Every Gnome needs a cause. For some it’s the dream of taking back Gnomeregan, for others its the the thought of finally inventing something which doesn’t backfire. For Lyloid, it’s the thought of wiping Hemet Nesingwary and his cronies from the face of Azeroth. It all began, as these things often do with a broken heart. 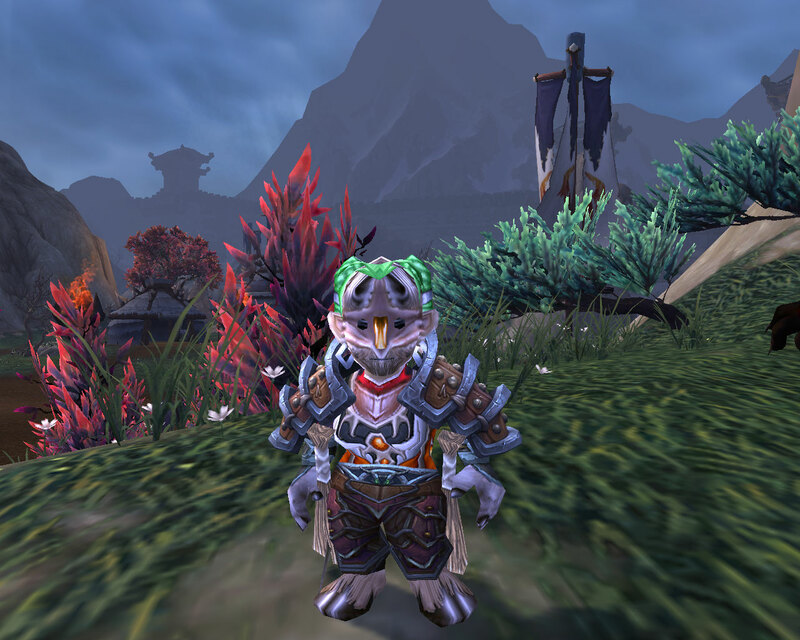 Left alone whilst her best and only friend went off to fight the Scourge, Lyloid with pure Gnomish logic figured out that she too could venture to Northrend and be a hero. The boat from Stormwind deposited her on the cold wastes of the Borean Tundra and so Lyloid immediately set about exploring. Letters from home had told her that her friend was taking a brief spot of R & R in Sholezar Basin but without a map, travel proved tricky. The first safe harbour she found was the D.E.H.T.A camp and it didn’t take many pamphlets to sway young Lyloid completely. 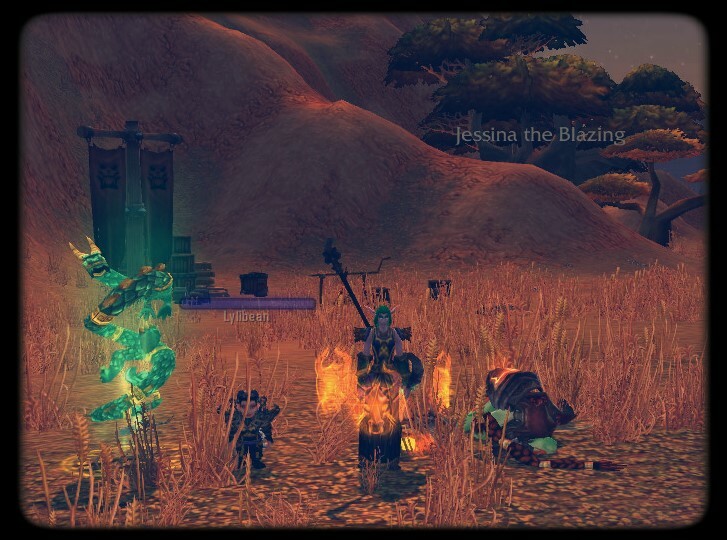 Not only had she safely found Northrend but a few hours in, she already had a mission. She was going to hunt down the Butcher and all his followers. What better place to start than the deer hunters of the Borean Tundra. Whilst I’m sure plenty of people get their first honourable kill in Northrend these days, I can’t help wondering just how many manage it at level 18 and I’d put money on the fact that very few level 18s score their first kill against lv 72s. (I actually felt rather sorry for the Shaman in question, but Lyloid was running straight at them and one shock would kill her…. so I didn’t have much choice). Having spent a few successful hours culling Nesingwary’s lackeys and collecting their ears, Lyloid decided to hit Hemet closer to home… his son in Stranglethorn would be the perfect victim. Gnomes are patient creatures, like crocolisks they can lurk submerged for hours just waiting for the perfect moment. 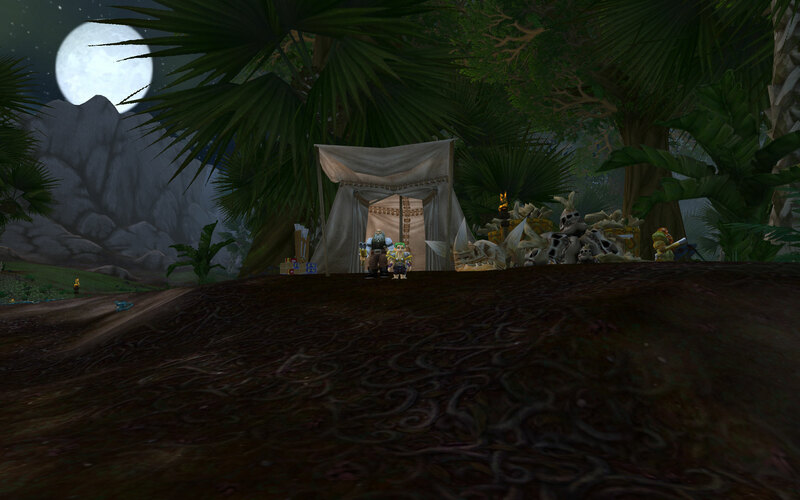 Eventually some Undead Priests turned up, ready to slaughter wildlife for gold and secondhand clothing. No doubt they really weren’t expecting a lv 20 green haired gnome to throw itself at them. The element of surprise left Lyloid victorious once again. Whilst so far the campaign has been successful, Lyloid realises that there is still a lot of wildlife to protect. Her next target is protecting Stanley from the Forsaken and then October might see her in Dragonblight preventing pup stealing by those evil Tuskarrs. However, wherever Lyloid ends up, her one true goal is eliminating Hemet. 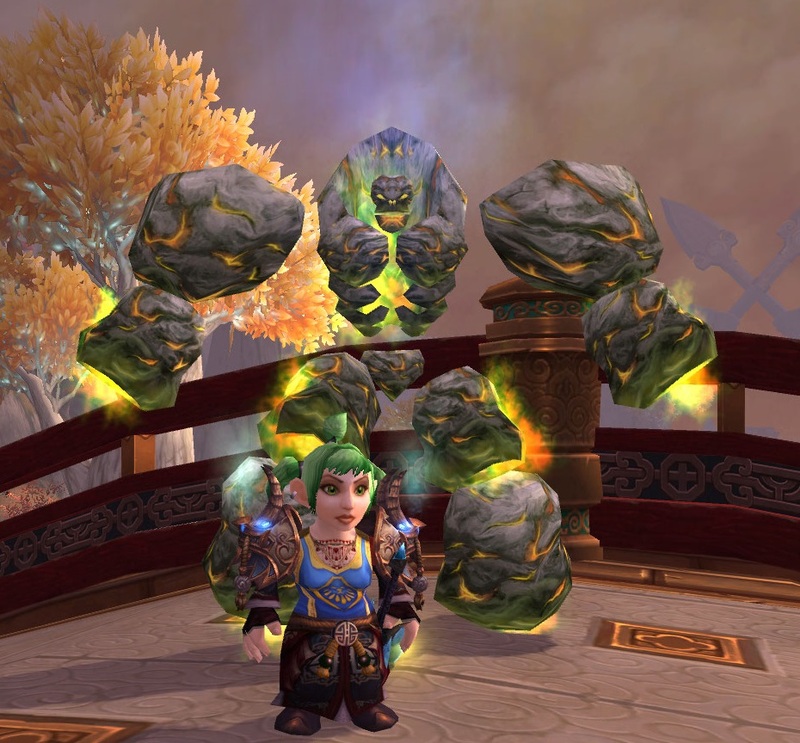 So next time you’re doing one his quests, be careful that a tiny ball of greenhaired gnome doesn’t throw itself at you. (This is the reason I can’t leave him alone to play WoW without me).